When it comes to first impressions, it’s all about design and great design speaks for itself. At iSolve Mobility, we know the modern consumer. We can’t tell you the number of clunky, slow and confusing apps we’ve deleted off our phones. Ensuring that your customer is getting what they need from you from the very first second sets you apart in a crowded app marketplace. By identifying and understanding the essence and core values of your brand, we create your unique app identity. An identity that is intuitive and responsive to the customers’ needs. We’ll put our passion for good design to work and based on approved wireframes we’ll design all screens. We’ll craft a beautiful, functional design with your specific users in mind. 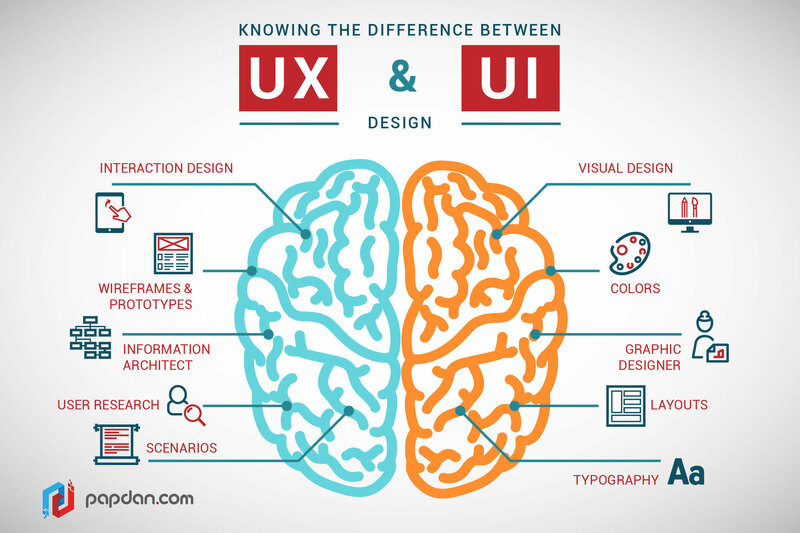 UI vs. UX, what is the difference? Life’s too short for ugly software. At the most basic level, the user interface (UI) is the series of screens, pages, and visual elements—like buttons and icons—that you use to interact with a device. We create simply beautiful user interfaces that are informed by current trends, adhere to timeless design principles, and transform our client’s vision into a tangible reality. User experience (UX), on the other hand, is the internal experience that a person has as they interact with every aspect of a company’s products and services. Your app may be powerful, fast & beautiful, but it will never reach its potential without a solid user experience. Our UX Design service aims to achieve just that. We design, prototype & test flows and ideas with users, creating positive customer journeys and effective user experiences in the process. At iSolve, we employ both great UI & UX specialists that will assist you to get the best UI & UX Design services for your mobile app project. Since we started iSolve Mobility, we’ve received hundreds of requests to build apps. We’ve worked with many app entrepreneurs in a variety of business domains and solution types to help them kickstart their business. With years of experience in the trenches, we can comfortably state: We know how to make mobile apps with complex functionality appear simple, and simple user interfaces engaging. Whether is a new idea or refining an existing one, you know where you are and where you want to be, you just need a little help getting it out. We know what works and what doesn’t, and what turns off users right away. This is where our workshops come in. It’s easy to know what elements you need on the screen. But laying them out is the tricky part.Have you ever had an app react perfectly on cue and feel totally natural? That’s the sign of an expert UI. Achieving this means putting your ideas on paper with pencil. Electronically, of course, and then creating refined schematic views or skeleton plan of the application. At the end of the UX phase, we will present you with your app’s blueprints. During this process, you’ll work with a cross-section of our designers and developers to generate a rough cut of your app. You’ll figure out with us what the most crucial parts of your business are and work to create a prototype of your app that reflects what’s important. We’re perfectionists when it comes to user interfaces. You shouldn’t have to explain a thing about your app; a customer should be able to drop in and immediately get what they want. A proof-of-concept (POC) touches on all levels of the system implementation, requiring, besides UI prototyping, engagement of software engineers for development of a specific slice of functionality. Project teams at iSolve Mobility produce POCs rapidly and efficiently, providing our customers with alpha products for evaluation and validation with all stakeholders prior to hand off for production development. iSolve Mobility has an exquisite team of highly dedicated developers with many years of experience. We apply best practices and our experience to analyse your business, target audience, market and solutions of competitors to prioritize user goals, study their behaviour and create UI design according to the well-thought-through strategy. Strong technology guidance and proficiency on proven technology paradigms. Ensure transparency and timely delivery of products and features. We can help you realise your vision. Get in touch to discuss how we can help you.